If only it was so simple, get the engine right and the rest will take care of itself. 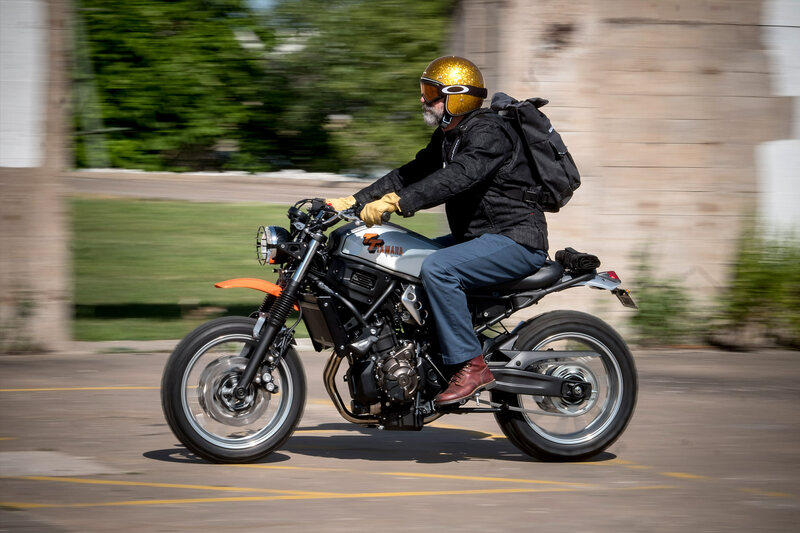 But twice in forty years Yamaha have done just that; first with the 500cc single that powered the SR, XT and TT and today with the 700cc twin that shreds in the MT, XSR and Tracer. 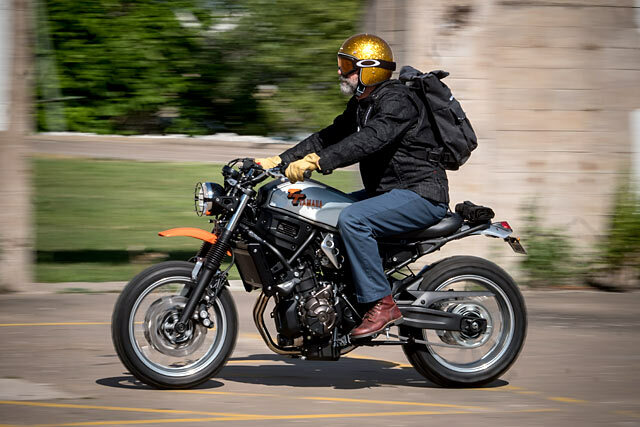 Two men have a passion for them all and a deep respect for their history, Yamaha’s Shun Miyazawa, the man behind the Yard Built program and master builder Greg Hageman who has turned out some of its best work. 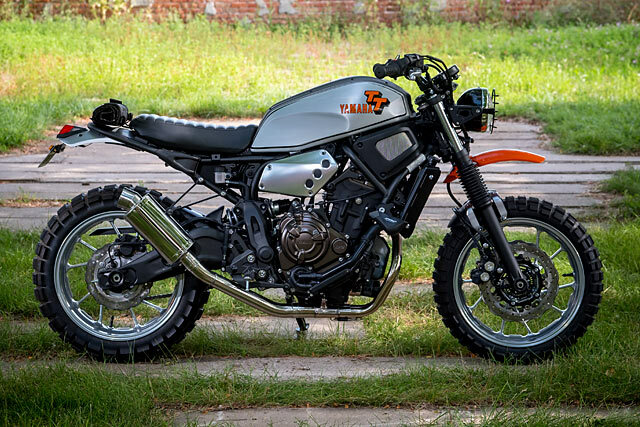 Now they pay tribute to the legendary off-road TT500 that was posterised on many a child’s wall with an XSR700 that’s now ready for some wheel in the air, down and dirty action! 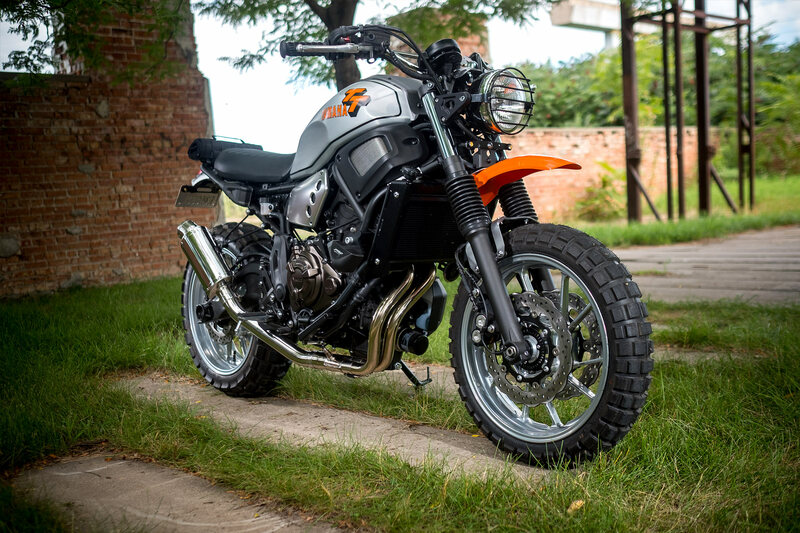 “I had already seen some jaw dropping builds from some European builders, JVB had built an MT and XSR with off-road tyres, and looked so simple and useful the idea of taking an XSR off-road, seemed to make sense, light and powerful. First up tho, I built an XSR for the Faster Sons promotion, to relate the bike to the XS650 models. After that build, I pretty much begged Shun for another so I could build TT and DT versions,” explains Greg. But the build of this bike took time with Hageman spending a considerable period gazing at the bike as it sat in his workshop for months. “Building a bike takes hours and hours of just daydreaming for me, sitting and analysing the design so I can see in my head what will work to change, and what won’t, and for that also what is actually worth changing. 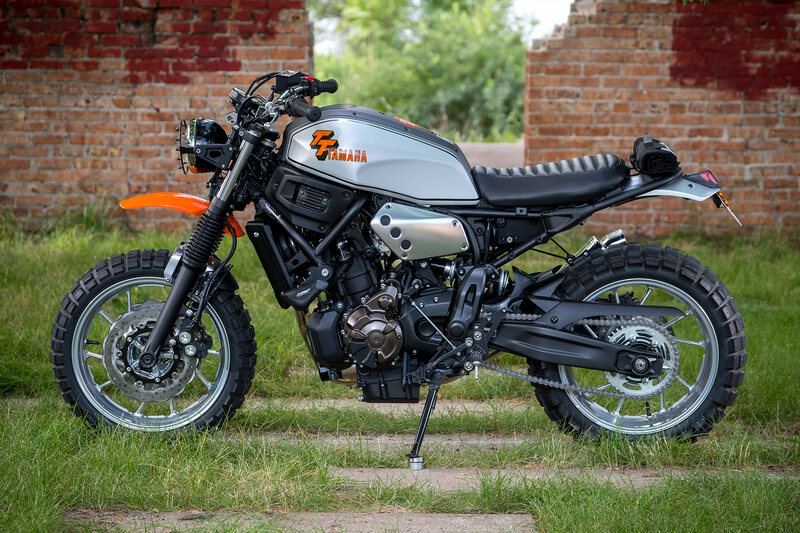 Just changing things sometimes is a mistake, to me it’s always a good idea to take advantage of what the engineers have done, and work with it, rather than try to redesign totally.” And as he began to start to build the XSR you realise that Hageman’s restraint and willingness to be self-critical goes a long way to his success. 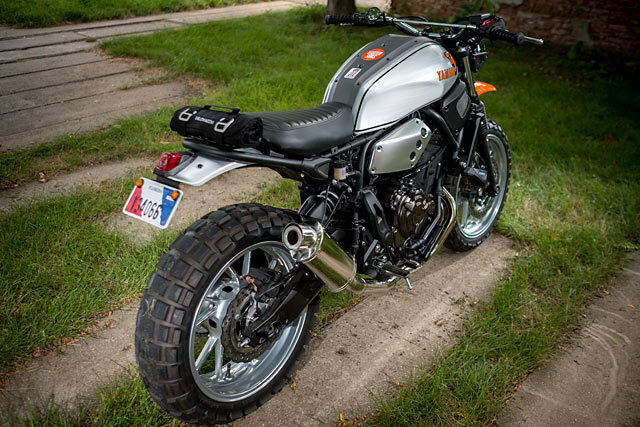 The finished product sports a standard rear fender that has had a nip and tuck around the edges, bolted to the factory subframe. But Greg had actually built an entire new rear subframe and fender that had required considerable skill and effort. With it bolted to the frame however he concluded that in actual fact it hadn’t achieved the result he was after and weighed more than factory. 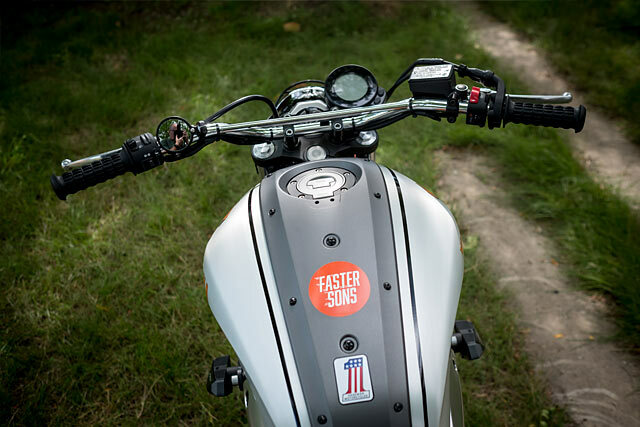 So, “I trashed the one I made, and kept the stock fender, and added a 1980s style universal enduro tail light,” he explains matter-of-factly. The seat itself is the factory two up unit that Greg pulled apart and spent time reshaping and reforming until he had the look he was after. This left room to create a bolt on, bolt off rack for the luggage of your choice. In this case a Velomacchi tool roll that Hageman is a huge fan of due to the exceptional quality of their products, high praise indeed! To get the look just right the factory front fender remains in place but is heavily cut back. 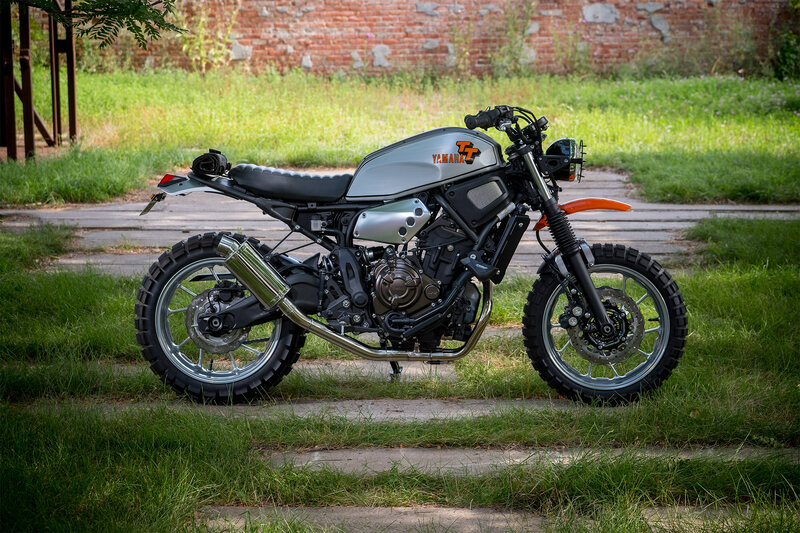 With only a small section of the rear area remaining intact and the TT off-road glory coming in the form of a high-mounted orange Acerbis item. With the TT500 sporting such an iconic tank and it all but impossible to fit one over the drastically different frame, Greg had a real challenge on his hands. The stock lines just weren’t working for him “ I spent many hours building covers, brackets, all sorts of things, just to try to get a visual perpendicular line where the bottom of a tank would normally be. Time after time, cover after cover, they all ended up in the trash!” In the end he decided to fight it no longer and stresses the tanks lines are far better when looking at the bike standing, rather than the crouched camera shot. 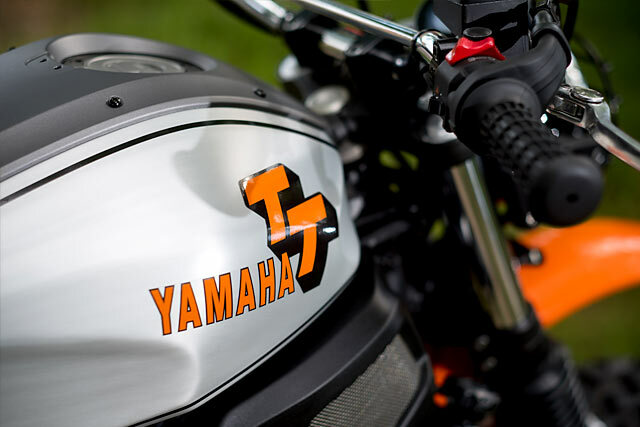 He simply used the standard brushed alloy covers and fitted the TT decals in perfect position. 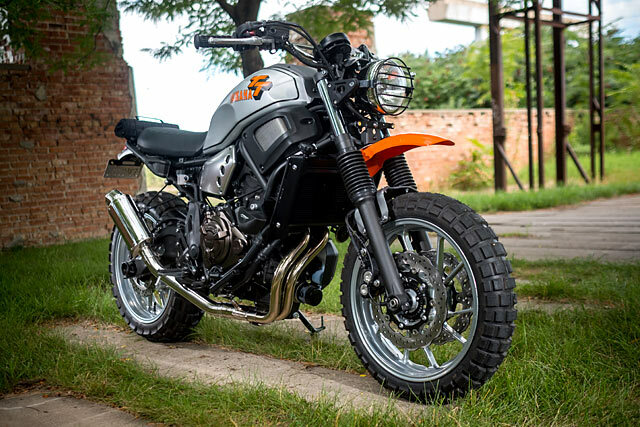 Out of the factory the XSR700 is a sweet handling ride that defies its cheap price point and the stock suspension remains in place with the addition of only a set of fork gaiters. 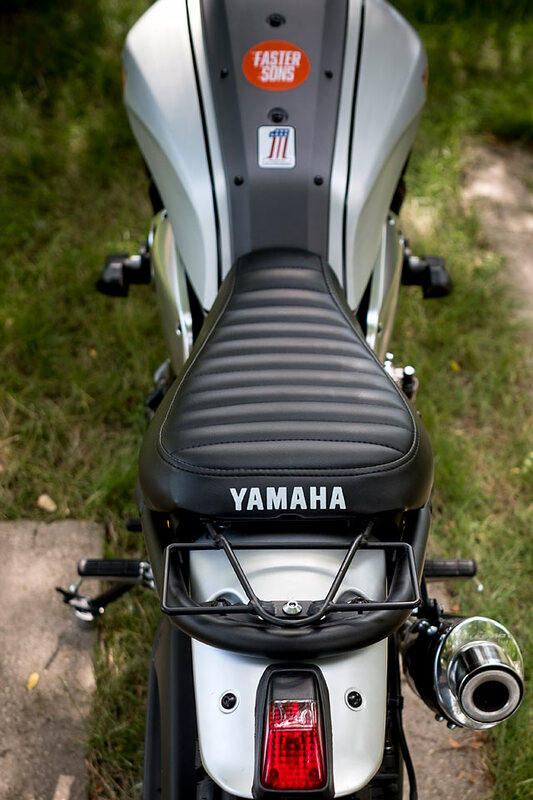 The factory pull back risers are ditched with a set of straight up low mount versions in their place. They grip 70s style repro dirt bike bars with period correct grips and a tiny mirror staying out of the way. The headlight was another battle however “I ended up using some of the stock bracketry, and used an Euro style 5 3/4″ bucket with LED light and a hand-made brush guard. 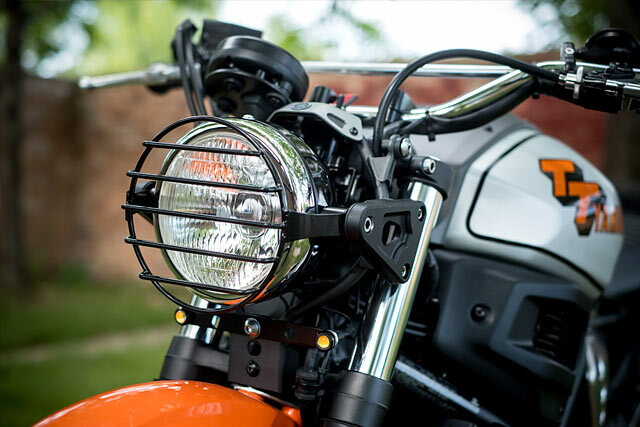 I knew as soon as I bolted that headlight unit up, it was right, the proportions, shape, size, all of it worked,” says Greg. If the handling is good in stock form the engine is even better and makes much more expensive bikes feel down right dull. Brilliantly engineered and with cross-plane crank technology its a smile every second and has the versatility to do both on and off-road work. To give it the look to match a full system has been bolted up and gives a few extra ponies; with the end can making a wonderful noise and sports the sort of timeless aesthetic to suit the generation splitting design. 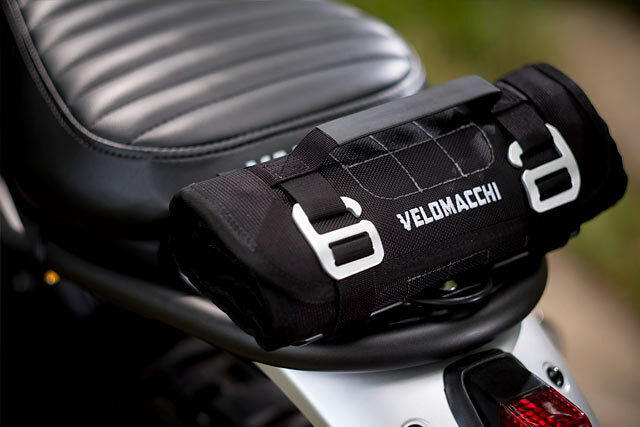 Keeping it all safe in case of a spill is a pair of chunky crash protectors bolted to the frame. The final piece of the puzzle, “The wheels, I spent a lot of time trying to adapt hubs from another model, but keeping the ABS intact made it difficult and expensive. You can buy laced wheels from Europe, set up for the ABS, but the cost is close to 1/2 the price of the bike. The stock rims are light and not a bad design, I chose to have them powder coated Super Chrome.” And with that legendary builder Greg Hageman has not only crafted a fitting tribute to the beloved Yamaha TT500 enduro but taught a master class in design and execution. Being capable of building amazing parts doesn’t always mean they belong on a project, in fact it’s his restraint that makes this build so damn good!